A delegation of school administrators from Colegio Jose Toribio Medina in Nuñoa, Chile will be welcomed at Hurley Fine and Performing Arts Magnet School, 3849 W. 69th St., in Chicago, during a ceremony at 9 a.m. on September 22, 2014. The Ceremony officially kicks off Hurley’s participation in the US-Chile Student Exchange Program. The ceremony will feature Hurley students in native Chilean costumes performing traditional dances. 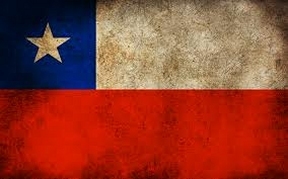 The Chilean delegation will also be welcomed by Alderman Marty Quinn (13th Ward) and Hurley Principal Dolores Cupp. Invited guests include Rhonda Corr Seageart, Chief Officer Network 10, Mr. Arnoldo Rivera, Deputy Chief of Staff for Education, Office of the Mayor, Karen Garibay-Mulatttieri, Chief Officer, Office of Language and Cultural Education. Rodolfo Montecinos, Consul General of Chile in Chicago and Graciela Shelley, International School Partnership Coordinator. The ceremony launches a student exchange program. Students from Chile will visit Chicago in November and students from Hurley will visit Chile during Spring Break 2015.